A team of full stack software developers that specialise in the development of web and mobile platforms. 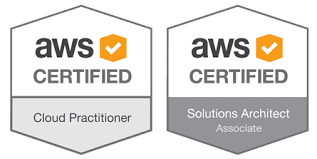 Architects of AWS solutions, specialising in highly scalable, fault tolerant serverless solutions conforming to AWS Security Best Practices. Our work can be found in respected organisations including the NHS, Telefonica, Arla Foods and PepsiCo. If you would like to find out more about our work and our availability please get in touch.